Without proper care, your forklifts are bound to become a liability compared to a valuable asset. Usually, the repairs for a Moffett may range from routine and ordinary to expensive and extraordinary. This all depends on how you approach the prospect of maintenance. Keep in mind that preventative maintenance is always the first step to preventing the possible onset of some costly repairs, which can be quite burdensome for you. It is important that you do not neglect any type of forklift, regardless of whether it is a used one or a brand new one. Care is vital, and it ensures that you save thousands. Whether you just bought a new lift truck, or intend to use your old one to take care of operations, it is imperative to keep a close eye on the components of the vehicle. If you are planning to save on maintenance costs, then you need to pay close attention to these expensive repairs, which you can avoid only if you set up routine check-ups. Moffett’s often have an electrical system that comprises of several parts that manage material handling. It all starts with the battery, the terminals, the power steering, lighting system, lift trucks, and the dashboard. In addition, the forklifts also feature an onboard computer in order to run some diagnostics on various parts of the vehicle. This is a useful tool for the lift truck to diagnose any errors. Hence, it is important to ensure that all the fuses got through checks. Furthermore, the terminals will need a close watch for corrosion or the formation of rust. Also, make sure that you monitor the lighting system, since it can spare the operators from the risks of encountering accidents. You should check the electrical system and amend all the parts that need attention in time. In any vehicle the central component and most, an important one is a transmission. It comprises of the hub and the transaxle fluid, and most Moffett comes with powertrain warranty, which can also extend for over 10 years or even 150,000 miles. The main aspect of maintaining the forklift you need to consider is checking for leaks or any slips from the system. Keep in mind that any transmission in fault will result in heavy expenses and malfunction of the Moffett truck. Another important aspect is to check the radiator and its cooling capabilities. If you fail to do so, it will eventually result in a breakdown, and cost you a lot more on the repairs. Before the use, you need to check the cap of the radiator and be sure of whether it is secure or not. In addition, you should also inspect the radiator and the lines for any signs of the coolant leaking. This will ensure that you detect possible issues before they arise and prevent the forklift from problems like overheating. You should also be aware that a coolant spill could also create a great deal of paperwork. In such cases, the paperwork may be a challenge. You have to ensure that you avoid such situations. 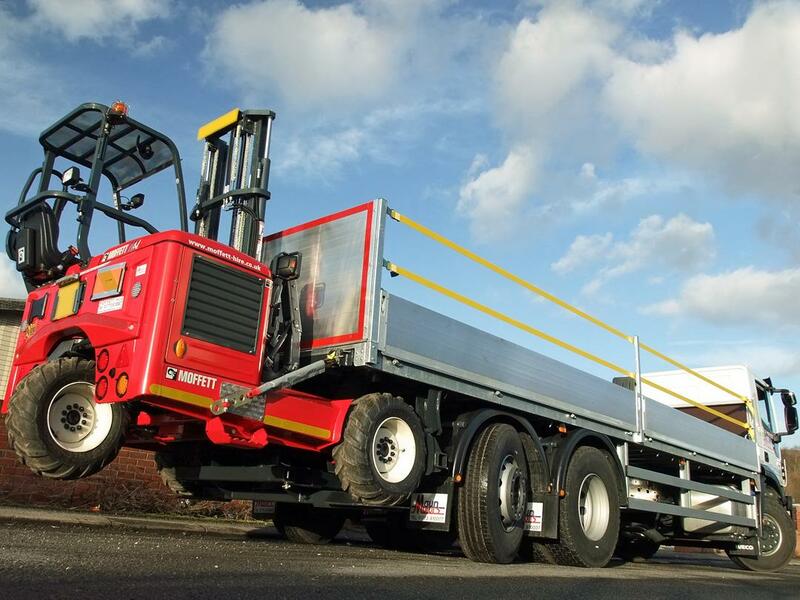 At Moffett Truck, we welcome you to our online store that gives you access to a wide range of used and new Moffett lift trucks for sale. Explore your options and if you have any questions, please feel free to contact us today.